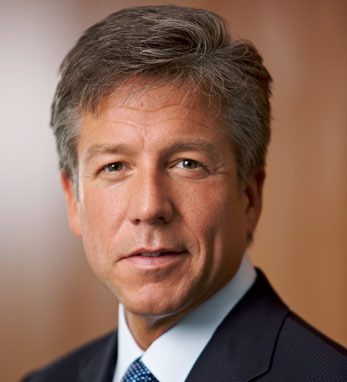 Bill McDermott was appointed co-CEO of SAP alongside Jim Hagemann Snabe in 2010. Bill was named to the SAP Executive Board in 2008 to manage global field operations, a responsibility he maintains as co-CEO. Before joining SAP, Bill served as EVP of Worldwide Sales & Operations at Siebel Systems, and president of Gartner, Inc. He spent 17 years at Xerox and became the company’s youngest corporate officer and division president. Bill serves on the boards of ANSYS, PAETEC Communications, Under Armour, KIPP and Villanova University. In 2008, he was named Idealist of the Year by City Year Greater Philadelphia. In 2005, Bill was elected to the U.S. Chamber of Commerce and the Chamber Foundation Board. Bill earned an MBA degree from the J.L. Kellogg Graduate School of Management at Northwestern and completed the Executive Development Program at the University of Pennsylvania’s Wharton School. He received his BS degree in business administration from Dowling College. Bill is a third-generation Irish American with roots in Co. Roscommon on his father’s side.